This is the Rose, during stages of being built. It is ready for delivery to Texas now. We used many of our customer's favorite furniture to finish the home with. Please be patient with us and not take the prices below as written in stone, (like diamond), we are trying to put a realist set price up but at this point we are doing one custom home designed for someone like you. Every individual has specific wants and needs making the finished price harder and harder for us to just guess. Guessing makes both builder and customer a looser. We would rather you think of these as rough numbers that include all the quality finishes we are known for. Freestanding 20 in. stove and oven with battery spark ignition. May be upgraded to a larger model with other colors than white available for a small fee. 10 c.u. white refrigerator with top freezer with depth of 24”. Stainless steel and other sizes available for small fee. IKEA cabinetry with many options without upgrading! Deep single IKEA or similar white sink with faucet fixture, pullout sprayer, and soap dispenser. Flush toilet is included. Other options are available such as a composting toilet. 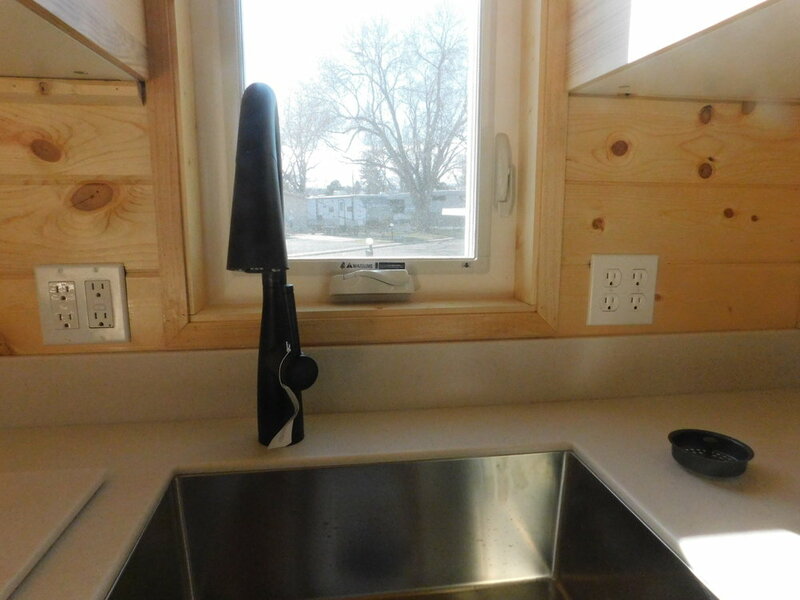 ** We can still put in the plumbing to make changing from a composting toilet to a flush easy! Closet, ½ size with bar and two to three deep drawers underneath, with larger homes we include a second closet. **Prices listed are base price. We work with each customer individually and determine a budget for every home. Costs of upgrades on standard finishes and any specialized custom design work will be determined at your consultation, and included in the final price. Windows (Jeldwen low-E double pane) and exterior door swinging in. Upgrades may be done for swing of door to the outside and or double doors etc. Rough plumbing ( everything inside the walls for sink, shower, drains for shower and toilet) done with PEX. French doors exiting on passenger side or drivers side of tow truck. We want to know your vision for your tiny home, and we approach all of our work from a relational perspective. We meet you at the airport, drive back to our home, and provide a guided tour of the model currently located on our driveway. After spending time chatting about the intricacies of a tiny home, I make a meal for us. During your trip, we help you chose many of the finishes. If there is time during your trip, we would love to take you up to Red Rocks and share some of the beauty of our state. Some customers chose to stay overnight at a hotel close by. This valuable time is an important component toward making your home purchase a success. Interested in purchasing a Tiny Diamond Home? The first step is to fill out the contact us form and click submit:). Beetle Kill walls and graywalnut cabinets. Please visit our Contact Us page to send us a message. Our lofts are as large as you want! This means "yes" to a king-sized bed! 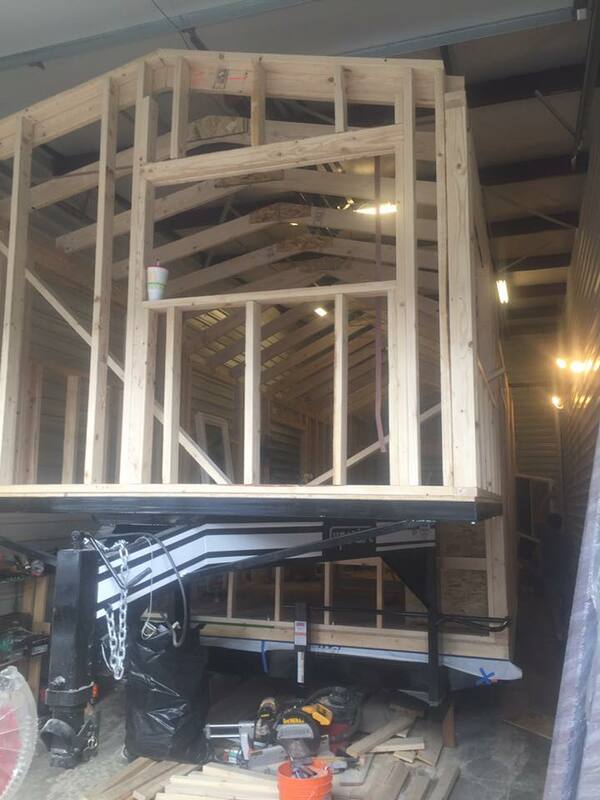 We were the first to put large enough windows for fire escape! Want a main-level bedroom we can do this and help you make the right decision. Every Tiny Diamond Home is different because we listen to what you want! We build for you! We will want to know your vision and what your needs and wants are before we start. $1,000 discount for cash purchase. Need Financing? Indicate this when you fill out a contact form, and we can get you connected! Baguette all first 30 ft. caboose!